Home / Books / Cholesterol: Statins, Praluent or Mediterranean Diet? Controlling cholesterol is a small part of preventing heart disease. Yet physicians seldom offer the most powerful, least risky weapons we have against it. Instead, we recommend statin medications, and soon can prescribe a just-FDA approved biotech medication called Praluent. 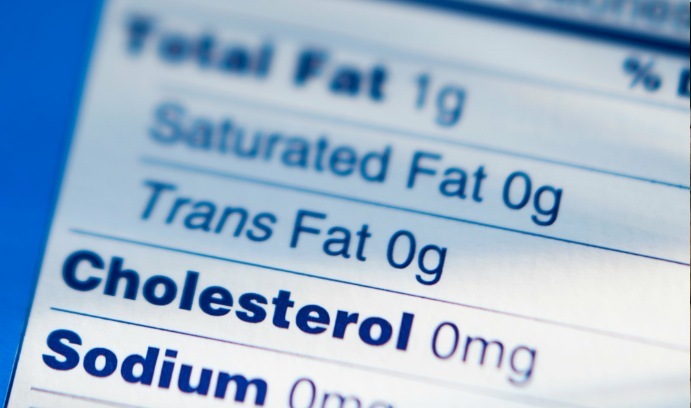 For decades, physicians have been trained to lower Low Density Lipoprotein (LDL) cholesterol levels below 130, 100 or 70, depending on the patient. Our principal tool has been statins. As of 2012, 26% of all U.S. adults over age 40 took them. Praluent is even more effective in lowering LDL than statins, early studies show. But it has to be injected, it doesn’t have a track record in practice, and it costs $40 per day ($14,600 per year): wildly more than statins. The body actually needs and makes cholesterol. The body uses it to make testosterone in men, estrogen in women, and vitamin D in everyone. But in the bloodstream, floating free radicals can oxidize LDL, turning it and its cholesterol cargo into a foreign, inflammatory object. It can damage the lining of the heart’s arteries and create disease. When taken as prescribed for five years, statins prevent heart attacks in just one in 104 adults with a low risk of heart disease, and prevent strokes in just one of 154. We don’t have similar data for Praluent, and won’t for five years. Taking medications is difficult. Half or more of patients discontinue statins within a year. Some patients don’t like to take a pill daily; some can’t afford them; and some don’t want to risk statin-induced diabetes. About one in 100 adults will get diabetes from statins; about one in 10 will get muscle injury. Praluent might be better; we don’t know. What we do know is that recent statin guidelines of the American College of Cardiology and the American Heart Association call for 97% of U.S. adults between 66 and 75 years of age to take the drugs. Earlier this month, two new studies in JAMA found it would be cost-effective to treat 56 million –almost 50%– of all U.S. adults ages 40-75 with statins to prevent a first heart attack or stroke. But medicine’s secret weapon is that lifestyle interventions work better, cost less, and harm rarely when compared with statins. When followed for five years, the Mediterranean diet does about twice as well: it prevents heart attack, stroke or death in one of 61 people. In a 2013 study published in the American Journal of Epidemiology, regular exercise, not smoking, maintaining a healthy weight and eating a healthy diet reduced all cause mortality by 81% over 7.5 years, irrespective of medication. It’s time for medicine to give patients our secret weapon…boldly. Before prescribing any medication for cholesterol, doctors should recommend food to prevent heart disease, and advocate for institutional changes to keep people well. Imagine if doctors could prescribe cooking and gardening classes, and gave seed packets as samples, not just medication. Soon they might have the impetus to do just that. The EAT for Health Act of 2015 (HR 3057), now in Committee in the House, would require physicians and nurse practitioners to have nutrition education. Just one of seven doctors currently feels prepared to offer nutrition advice. Medical schools offer an average of 19.6 hours of nutrition over four years, out of thousands in the curriculum. I received just four, plus two more in cooking school. This is an important bill because like other workers, doctors do more of what they are paid well and required to do. Medical licensing boards should require lifestyle skills education and training before granting medical licenses. Clinicians who give lifestyle medicine advice must be reimbursed adequately for the time and skill it takes to do so. Institutions that offer lifestyle medicine educational facilities, including teaching kitchens and gardens, should be subsidized for so doing. Those kitchens that do exist–at the Cleveland Clinic, West Virginia University, Tulane, and a dozen others–are learning laboratories, already full of eager students. As fruits and vegetables are expensive, relative to highly processed foods, clinicians should learn how to grow their own, and offer advice and encouragement to patients. While LDL cholesterol is an easy number to treat, focusing on medications first for heart disease steals time from more effective interventions. To learn the life skills you need to prevent heart disease and to stay well, ask your doctor: what can I eat instead of taking a drug?